If you want your dating website to serve the same purpose, don't hesitate to contact us for more details. 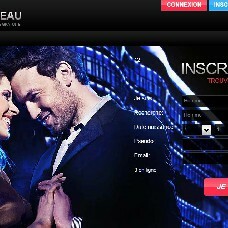 The free dating website for French singles, Clubreseau has been online since 2003 and now enlists thousands of registered singles. Clubreseau.com is the favorite dating site for the girls in search of an individual, the guys in search of a wife, gay guys seeking another individual, lesbians girls who wish to meet another woman and also couples seeking discreet relationships.